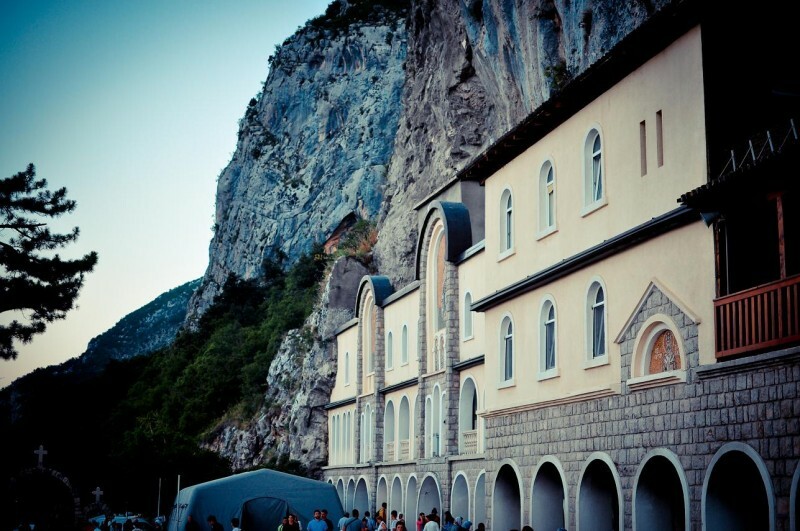 The Ostrog monastery was founded around the year 1655 by St. Vasilije / St. Basil of Ostrog who is known for healing of spirit and body. 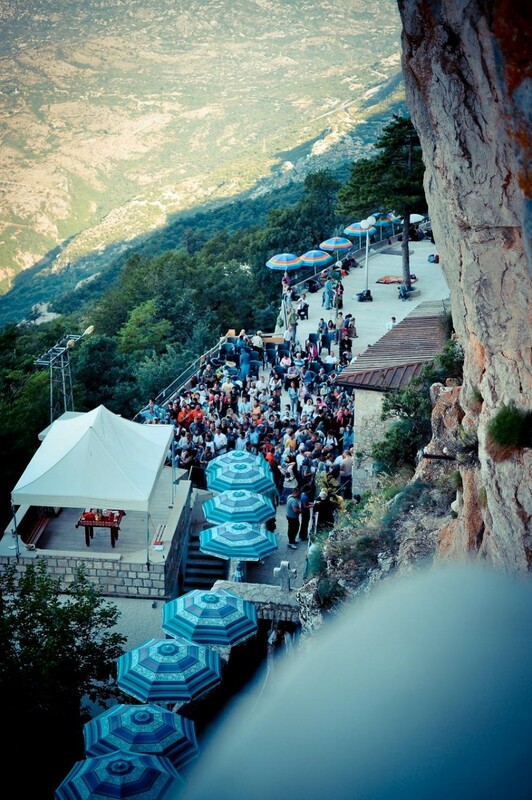 The upper monastery is situated on Ostroska Greda rock wall to an altitude of 2000 meters with an amazing view over the Bjelopavlići and the lower larger monastery including the modern konak where you can also spend the night if you wish. 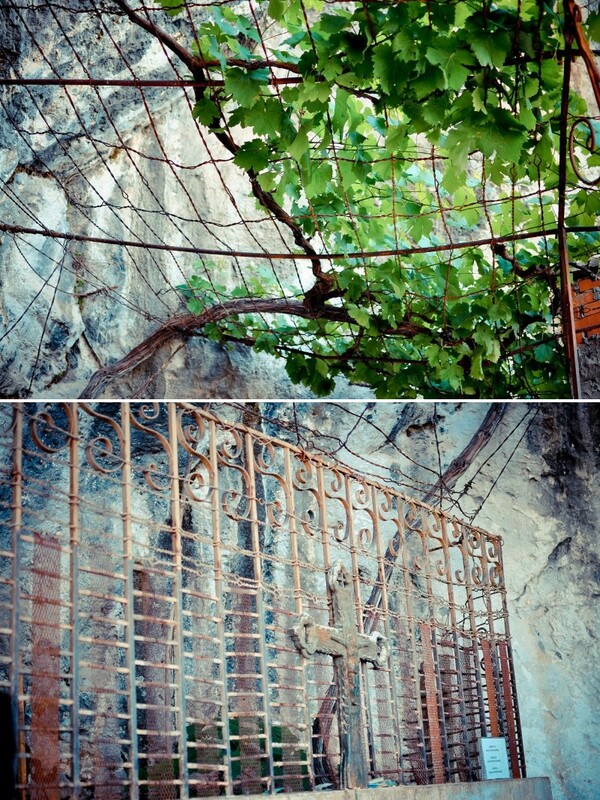 Later it was rebuilt after a fire destroyed the entire place except the 2 cave churches. 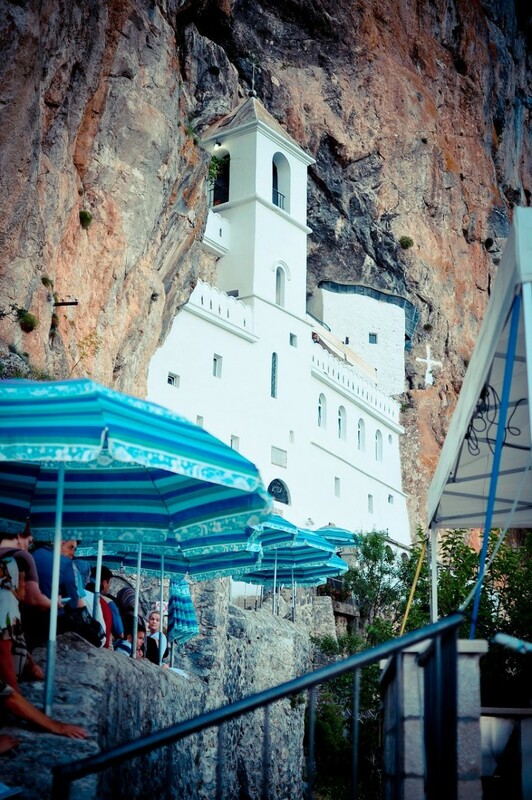 There are many traditions and many stories of miracles about the Monastery of Ostrog and the holy relics of St. 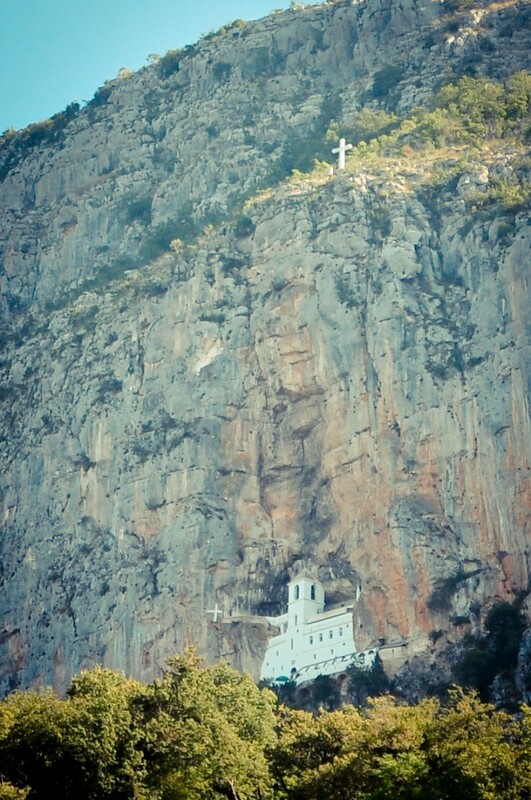 Basil of Ostrog, even to present day people speak about legends and healing when they visit the Monastery of Ostrog. We walked with bare feet up all the rock steps from the lower to upper monastery a distance of aprox 3km and we chose to sleep outside under the open sky. You can choose to sleep inside or out, if you want to sleep outside you just need to get a mattress and blankets from there and give them back in the morning. Many people just come there for a night and they leave at sunset. They say its good to sleep a night near the St. Basil of Ostrog ( Vasilije) and during the night his going to come and check on you and try to help you with your problems. Also believers walk the steps with bare feet up as just the travel from the lower to upper monastery is a sacred journey and on the way back they say a pray to each step. 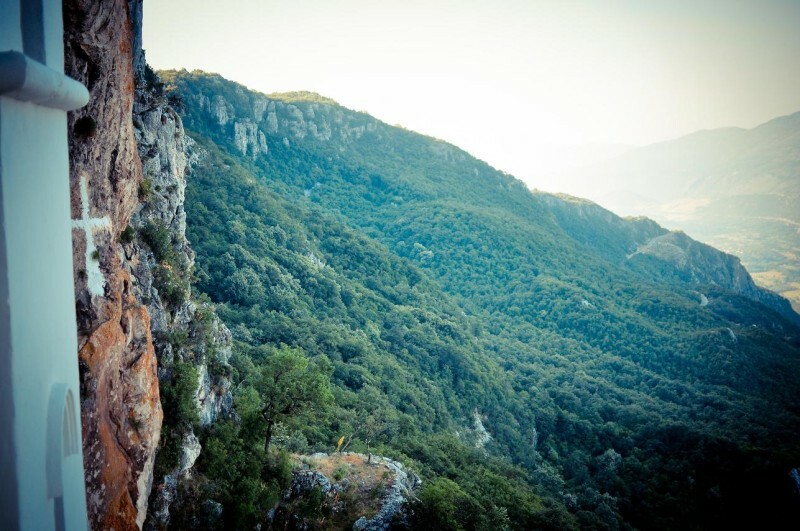 The view is amazing and the place is so peaceful. My first panoramic photo! The view from the top balcony where the grape vine is located. On the stairs up before you enter the cave church where the body of St. Basil is located you can see lots of little notes with wishes left by people in the walls for St. Basil to read and on the left just before the entrance to the cave you find a basket to leave small gifts for the monks, such as flour, sugar, oil, clothes and small objects. On the way back from the cave you can go on the right up on the stairs where you will find St. Basil's grape wines known for helping women to have children. I could not take a large shot of the entire thing because there is not much space on that balcony so I made it from 2 images to give you an idea.